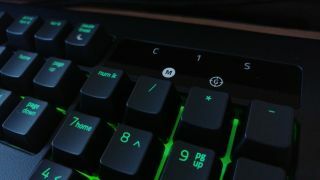 Razer is well known for its dazzling LED-encrusted keyboards and mice, which are intended to make gaming more immersive, but now it's scaling up its Chroma technology, using it to add color-shifting lighting to cars. According to Razer's CEO Min-Liang Tan, the company has teamed up with Chinese startup Leap Motor to jazz up the interiors of its electric vehicles. There's an abundance of burgeoning electric automakers in China, but Leap Motor is planning to differentiate itself by bringing an affordable electric coupe to market, and raised $290 million in funding at the end of 2018. The company said it plans to use the cash to "complete vehicle development, EV battery, electric motor and control, as well as to boost its marketing activities" – and it seemingly has enough left over for some flashy lighting. Tan was coy about the details, but it's possible that we might learn more about the partnership with Leap Motor very soon at CES 2019.